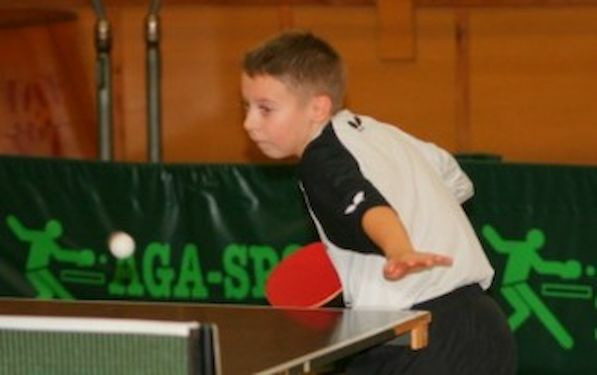 No less than 52 outfits is on duty in the team events at the Slovak Cadet Open, an ITTF Junior Circuit tournament in the country’s capital city of Bratislava. There are 26 teams in each of the Boys’ Team and Girls’ Team competitions; overall 56 boys and 57 girls have enrolled in the three day tournament. Germany occupies the top seeded position in the Boys’ Team and Girls’ Team competitions. Gerrit ENGEMANN and Jannik XU form the German Boys’ Team; for the girls it is Jennie WOLF and Luisa SAGER. Second seeds in the Boys’ Team event are Poland represented by Kamil NALEPA and Aleksander WERECKI, with Lithuania’s Rimas LESIV and Medardas STANKEVICIUS being the third seeds. The Czech Republic’s Vlastimil BUBEN and Jiri MARTINKO complete the top four names. Meanwhile in the Girls’ Team event, Hungary’s Orsolya FEHER and Leonie HARTBRICH form the second seeded outfit. Poland’s Julia SLAZAK and Agata Julia ZAKRZEWSKA are the third seeds, with the host nation’s Katarina BELOPOTOCANOVA, Ema LABOSOVA and Monika URIKOVA forming the fourth seeded outfit. In the Group stages Germany A easily prevailed against Sweden and Bosnia and Herzegovina to bokk the place among top 8 teams in main draw. In Group B Poland beat Germany and Czech Norway combination. In Group C Spain beat France and Slovakia but suffered by the hands of Germany’s players. Germany C booked second place in the group after they were defeated against France. In Cadet Girls Teams Event Germany A topping the Group with two victories over France and Poland/ Romania team. In Group B Hungary beat Czech Republic and Ireland. In Group C France created big upset. They clinched the top of the Group, despite the fact they were seeded at the bottom. Nolwenn FORT and Melissa AUSHALTER overcame Serbia , Finland and Slovakia.